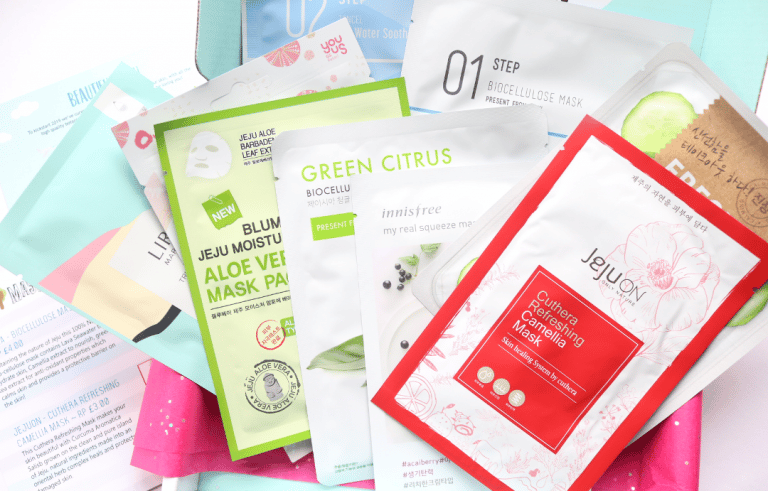 Mask Time is an amazing value for money subscription box that specialises in sending you the very best selection of sheet masks from the top Korean beauty brands. 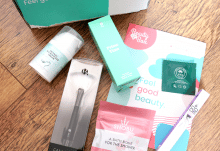 There are two different types of boxes to choose from; the Glow Setter (a big box of sheet mask treats) and the Glow Starter (a smaller box for K-Beauty newbies and those who are on a budget). 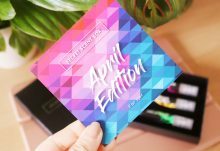 The latest Glow Setter Box is packed full of sheet masks that are themed around the beautiful island of Jeju and its many revered ingredients, so let’s take a closer look at what’s inside! 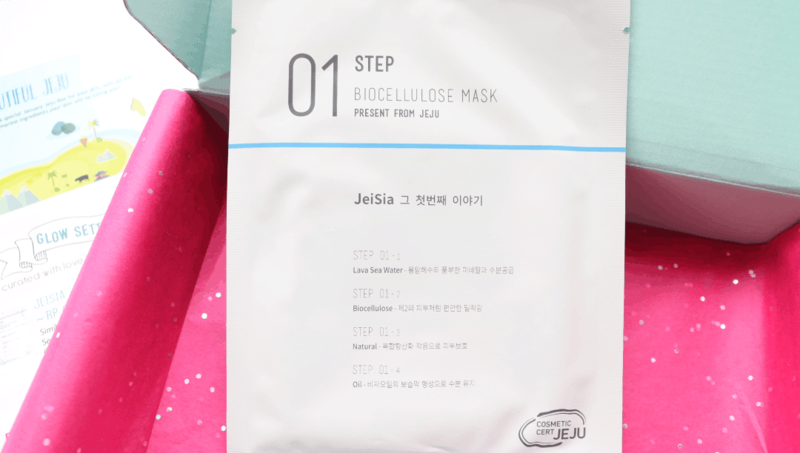 The first mask that I picked out of the box comes from the brand Jeisia and their Step 1 Mask contains the best of what Jeju has to offer. 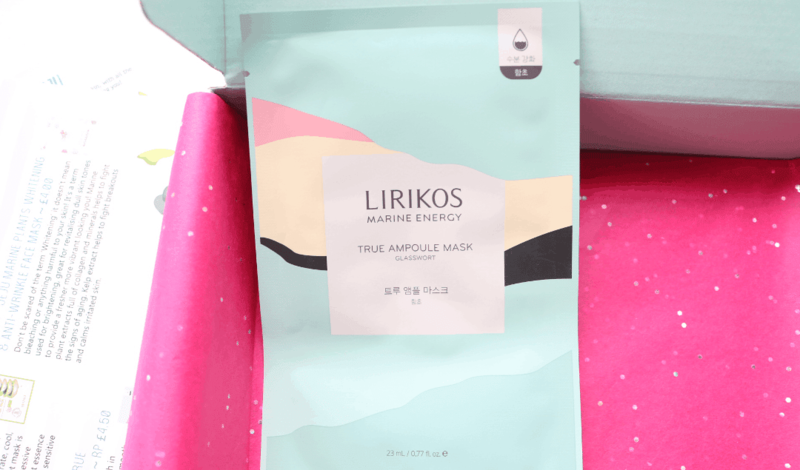 Made from a bio-cellulose sheet that contains Lava Seawater, Camellia Extract and Green Tea Extract, this mask helps to calm, hydrate and protect the skin against the elements. 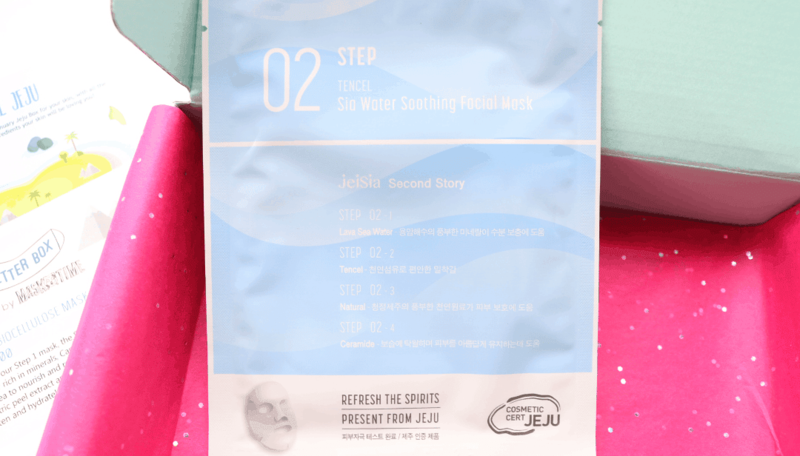 Similar to the Step 1 Mask, the Step 2 Mask also contains Lava Seawater, Camellia Extract and Green Tea Extract, and has the added benefits of Jeju Citrus Peel Extract and Jeju Visa Seed Oil to really brighten and hydrate the skin. Perfect for dull Winter complexions! 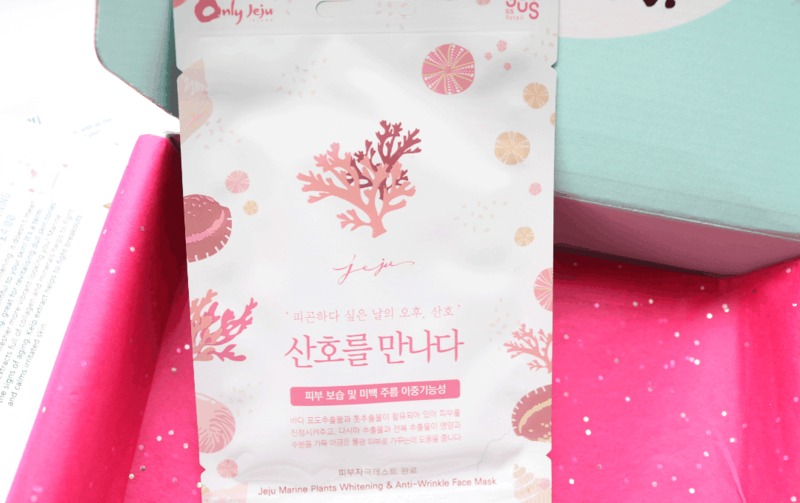 Next up, there’s a mask from Jejuon and their bestselling Cuthera Refreshing Camellia Mask is rich in Curcuma Aromatica Salisb and a specialist range of natural ingredients to make your skin glow. There’s also an oriental herb complex that heals and protects, so if your skin is feeling damaged, this is the mask for you. This popular sheet mask from Tony Moly is made with cellulose fibres which perfectly adhere to the skin for maximum absorption results. Its main ingredient is Cucumber as you can tell from the packaging, so it’s great for calming irritated and sensitive skin, whilst also adding essential moisture at the same time. 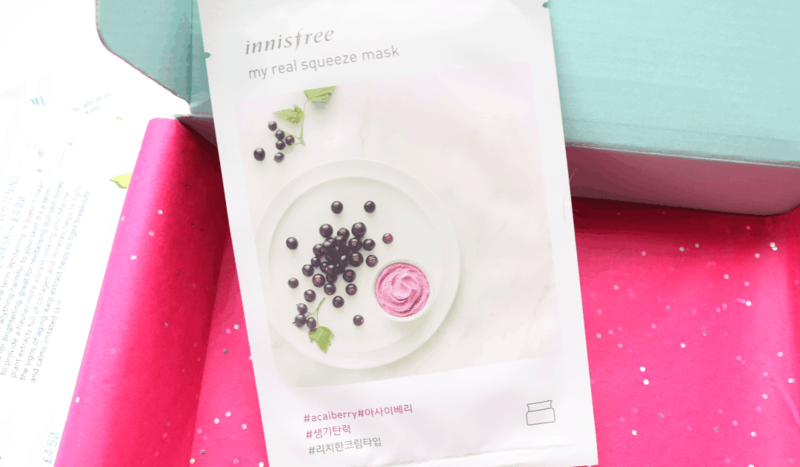 For something different, this rich cream-type gel mask is a real pampering treat for dry skin and contains cold-brew Acai Berries which are sourced from Jeju. High in antioxidants and Vitamins A, B, C and E, this mask helps to heal damaged skin cells and restores moisture where it’s needed. 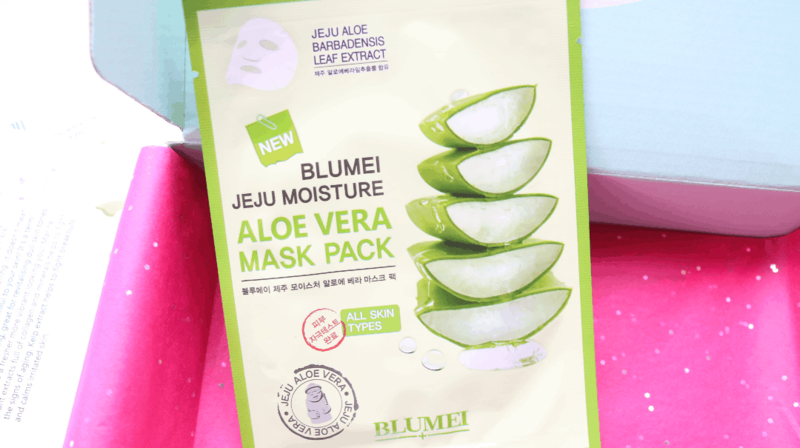 With super cooling Aloe Vera Gel extract, this sheet mask offers instant relief to irritated and sensitive skin that’s been troubled by wind or heat exposure. The lightweight essence is suitable for all skin types, but it’s especially beneficial for sensitive skin thanks to its calming properties. Glasswort is the Cactus of the ocean and is rich in nourishing properties that help to keep the skin healthy and smooth. Here it’s paired with Deep Sea Water that’s plentiful in minerals, Peal Extract to give luminosity to tired skin and real Oyster Extract to leave your complexion revitalised and glowing. 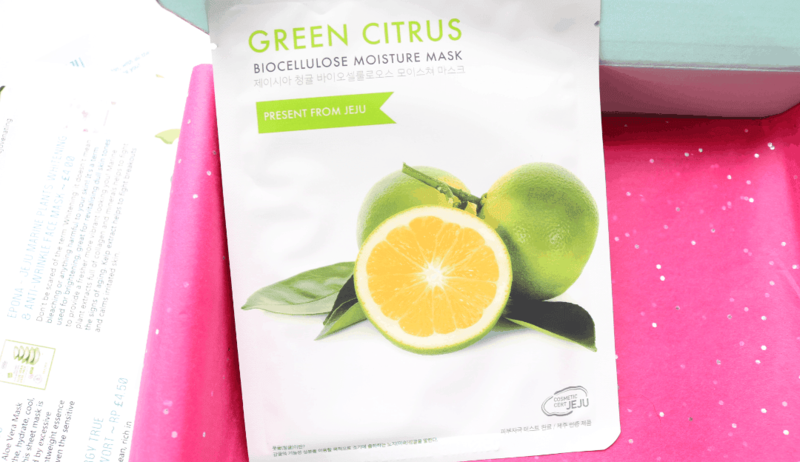 Another mask from Jeisia, this time it’s their Green Citrus Moisture Mask that contains high amounts of Vitamin C and antioxidants to help promote collagen production, whilst also hydrating and rejuvenating the skin. A great all rounder! Lastly, this mask from Epona is brilliant for anyone who is bothered by fine lines and wrinkles. It contains Marine Plant Extracts which will help to fight the signs of ageing thanks to their high levels of natural collagen, whilst Kelp Extract has been included to fight any breakouts and calm any redness and irritation. 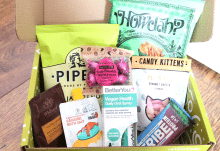 A brilliant box from Mask Time - their Glow Setter Boxes are such a lovely pampering treat for the skin! How would you rate Mask Time ?